Try something totally different and unique... a Tank Paintball Battle! Experience the fun and excitement of driving tanks and other military vehicles over courses set around a World War II bombing range in Leicestershire, England. 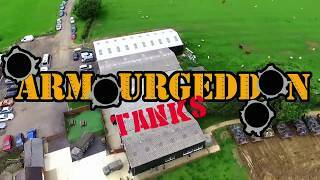 Armourgeddon is the worldwide home of Tank Paintball, incorporating Chaos Paintball and a wide range of activities including Airsoft for individuals, groups, corporate team building days and private parties. 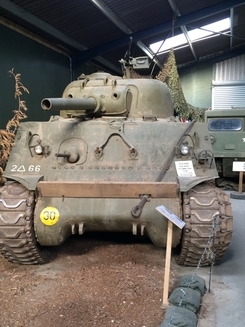 Our most popular activity is the Tank Paintball Battle - all the fun of paintball (and without the pain, as it's the tanks that take the hits) but with you at the controls of a FV432 tank. Tanks, cannons, mud and guns. What more could you want from a day out?! You form part of a 3 man team, and with some guidance from your instructor you will be transformed into an elite tank crew greasing the gears of paintball warfare! Who doesn’t want the chance to have full and complete control of a tank at least once in their lives?! This one's for the driving fanatics! Drive around the course in 17 and a half tons of hardened steel. Think that's easy? Now try it with the hatch closed looking only through your periscopes! Family days out, days out with the kids, fun days out East Midlands- we have you covered with a school holidays day trip to Armourgeddon Military Museum. Take a read of the blog for more info to plan your day out at Armourgeddon. 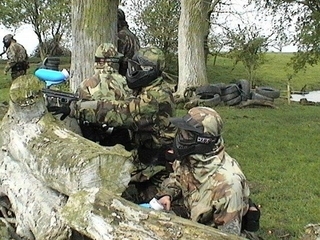 Paintball Leicestershire, paintball activities east midlands, paintball games for corporate activties, stag activities, hen parties or for individual or group games. We have a simple pricing structure and amazing, interactive games for paintball based here at Armourgeddon. Book yourself on to a game day soon! In the meantime, take a read of what we have to offer at Chaos Paintball. Don't miss-out, subscribe to the Armourgeddon email newsletter for the latest offers and updates. A great experience, the instructor was friednly and helpful, ground underfoot slushy and wet. The tank handled really well - we had a blast!